You can define the default positions of your windows and Sequencher remembers your settings for format and consensus options. You can also save all your settings, including a Reference Sequence, as a Project Template that can be reused to save time in analysis setup! Use motifs to highlight sub-sequences that you define. Remember your ruler settings between sessions. Choose optimal window layouts for your working style and save them. 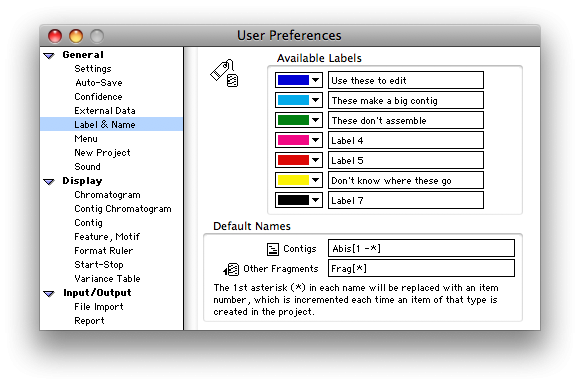 Customize the display of your project window.